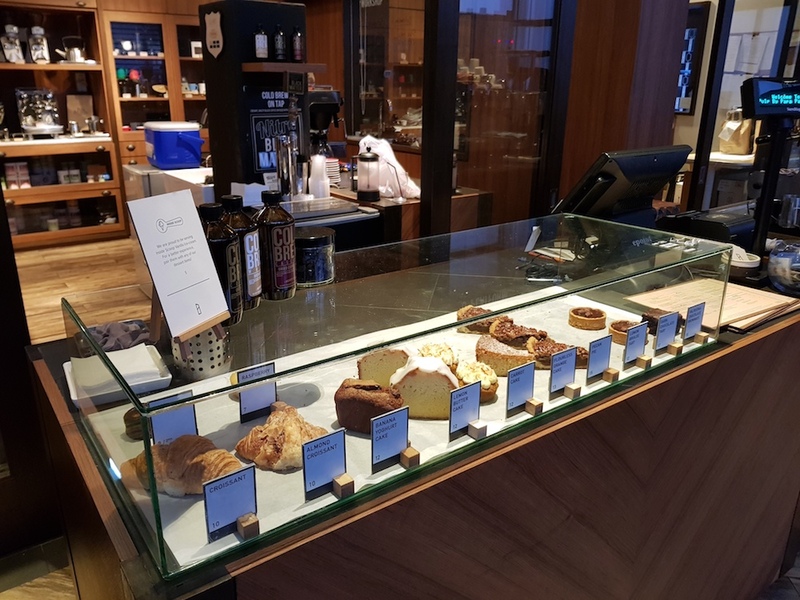 I was in Kuala Lumpur for a few days, and I wanted to visit some best coffeeshops in town. 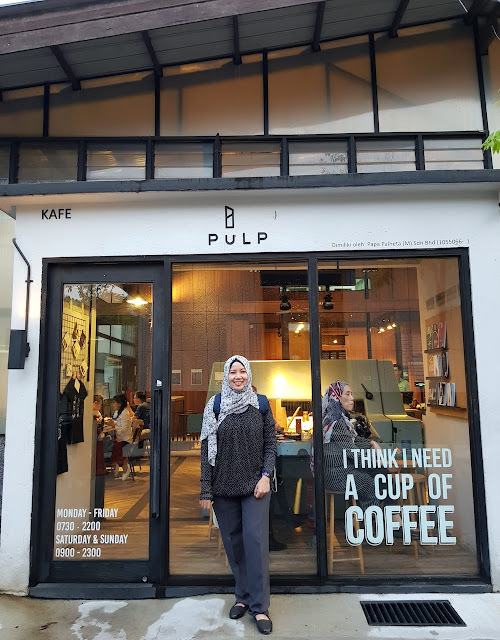 Based on my research on internet, some names popped up including Pulp Coffee at Bangsar. 30 minutes later, I finally arrived at Pulp Coffee. From the outside, it was seen as a warehouse, until you read the mural on its window. The walk is quiet far, but it was doable. You have to exit LRT Bangsar to the main road, turn right, and just walk straight. Pulp Coffee is located next to the orange building which belongs to The New Strait Times Press. You will see big "NSTP" sign on the building. 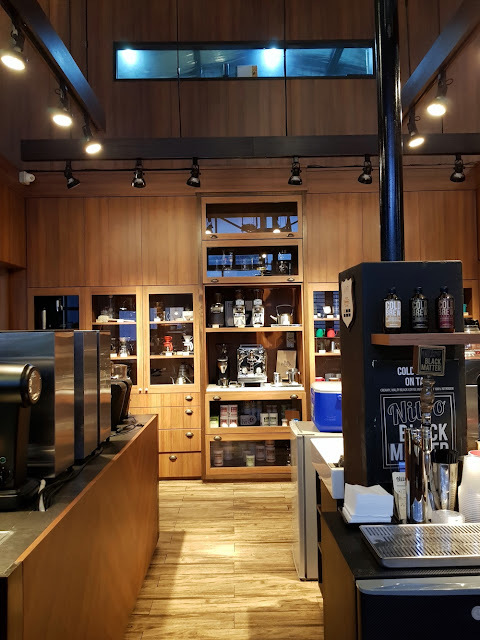 What To Expect at Pulp Coffee? 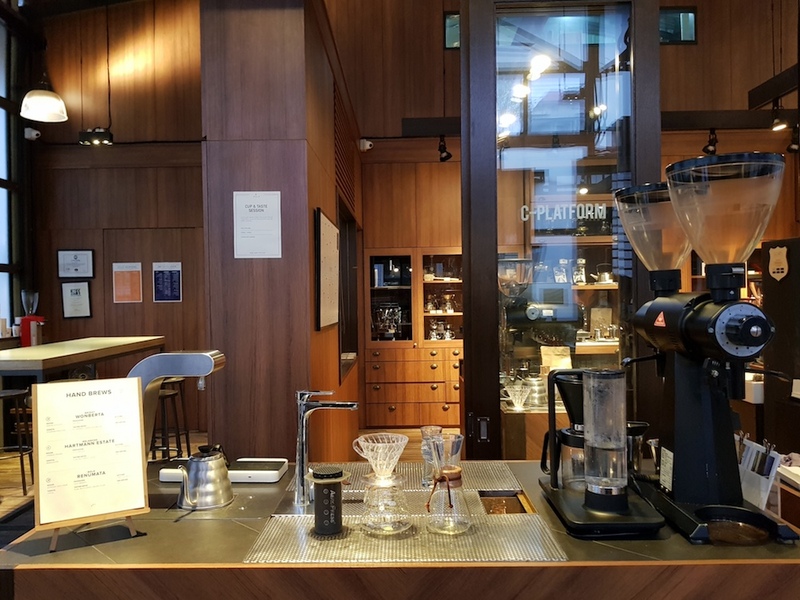 Well, it is not just a coffeeshop, but I felt like entering a coffee laboratory. Behind the coffee bar, they were a display of coffee machines equipment. 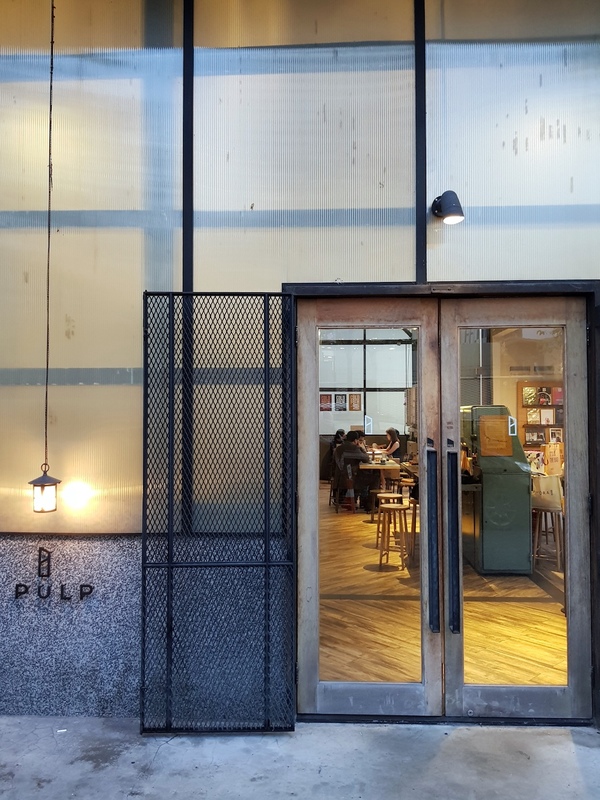 Pulp is not only a coffeeshop, but also sales & service training of coffee gadgets, as well as coffee classes. No wonder, the place is designed real "open" and inviting. 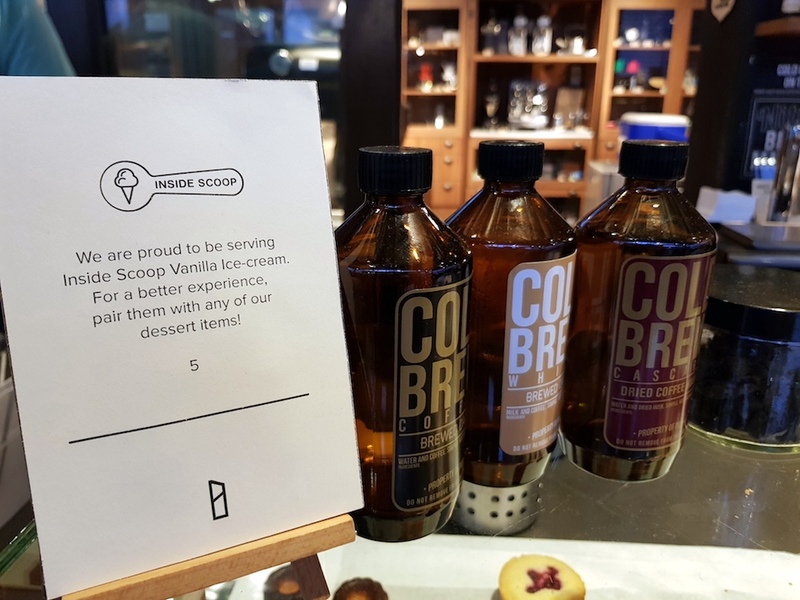 Yes, it is run by Singaporean coffee boutique Papa Palheta. The barista told me about it when I was choosing the coffee beans. 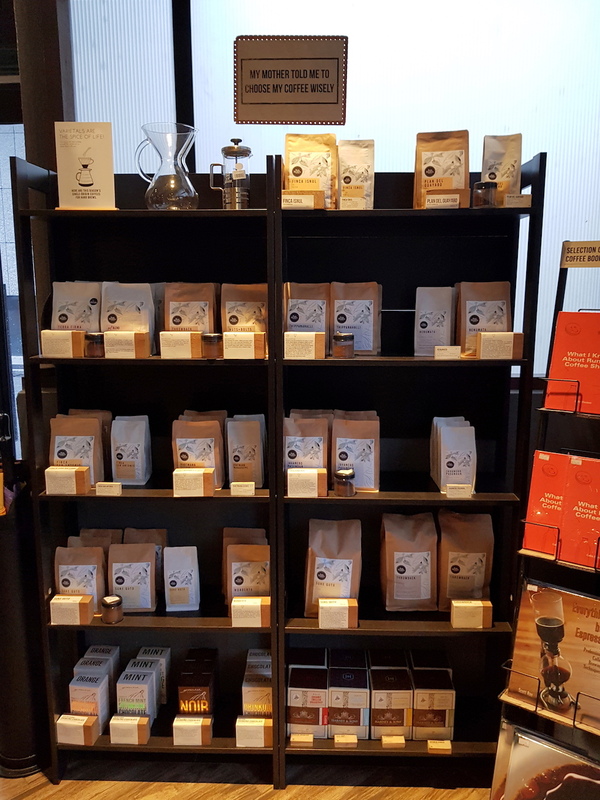 He said that the coffee beans are also available in Singapore. 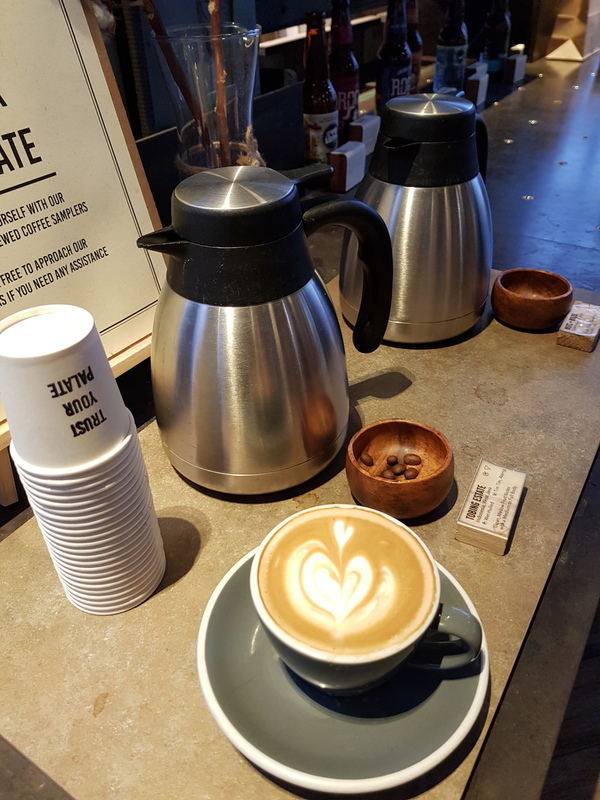 "My mother told me to choose my coffee wisely"
My Flat White Was Just Perfect! I ordered a cup of Flat White as always, and it taste really good. I should have ordered the cakes as well, they all look very yummy! Aaah and it can be paired with a scoop of vanilla ice cream as well. Ok, there will be next time then. 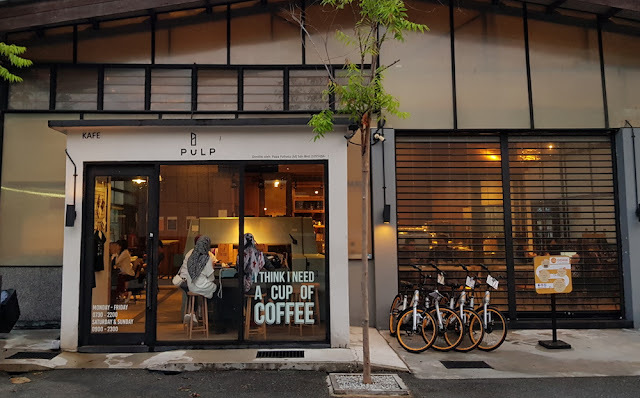 Pulp Coffee should be on your list if you wish to have good coffee in Kuala Lumpur. Can't wait for another visit to Pulp Coffee! Hehehe biasanya kalau dekat memang belum berkunjung ya. Coba deh kesini Hans, kopinya enak! As always, how you're really love coffee. Selalu suka postingan tentang kopinya. 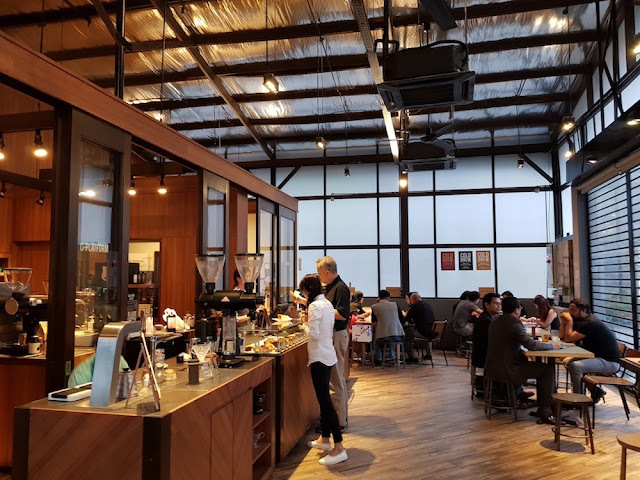 Jadi dapat banyak banget destinasi tempat ngopi di berbagai negara. Aaah thank you for your nice words:) Iya sekarang kalau jalan2 yang dicari kedai kopi hehe..